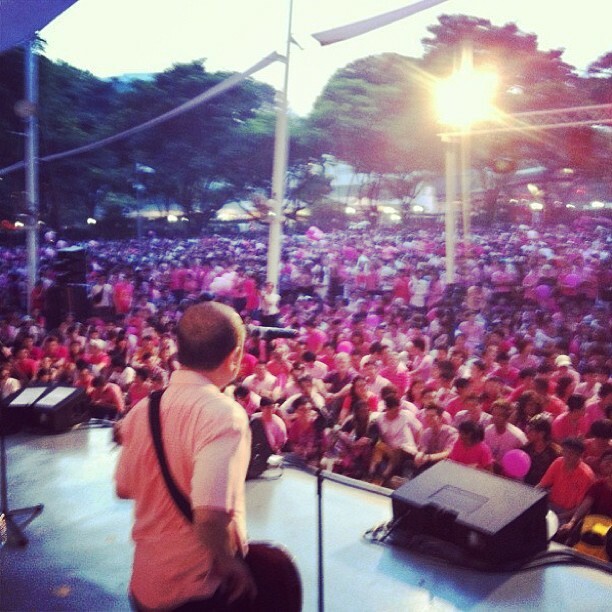 Last Saturday (29 June), we played to the biggest crowd we’ve ever had, at Pink Dot 2013. It was awesome to see so many people come support the freedom to love. According to the organisers of Pink Dot, 21000 people turned up at the event. Check out the post-event videos!